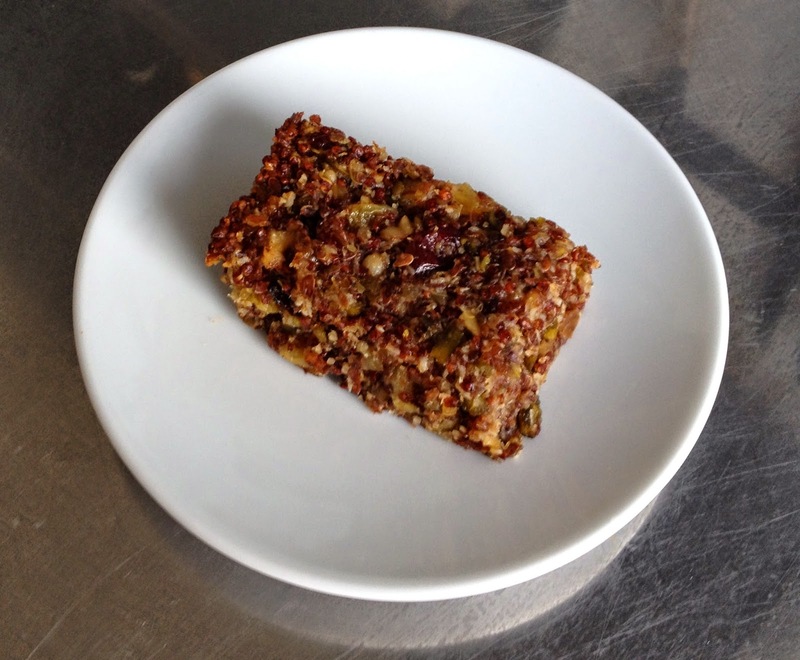 If you like quinoa, then these quinoa energy bars are for you! 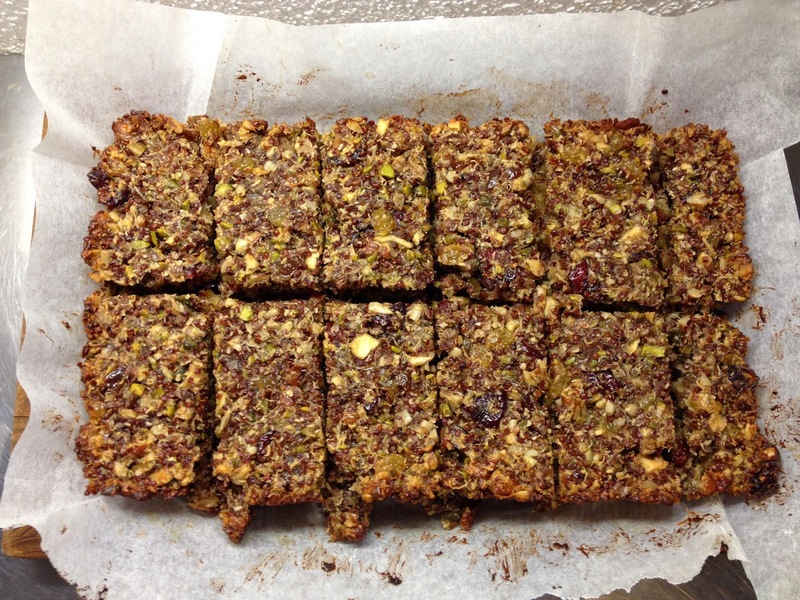 After making great cereal bars with oats, I was eager to come up with a second cereal bars, but this time gluten-free and with loads of fruits. There are raisins, cranberries, dates, apples, coconut, pistachios, and many nuts. Combine dates, apple, almond butter, honey and oil in a bowl and blend until smooth (if you have a food processor use that, if not chop up dates and apple very finely and crush in a mortar). 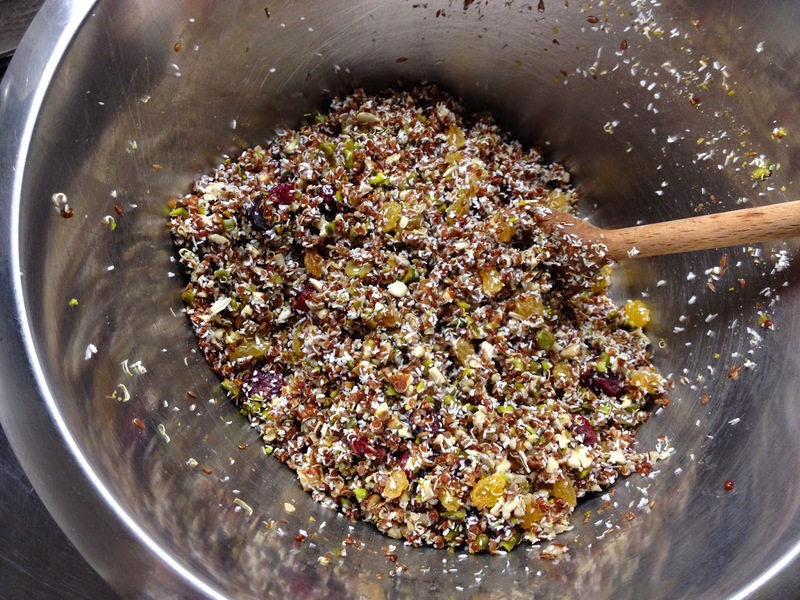 Mix dry ingredients (quinoa, nuts, dried fruit) in another bowl. 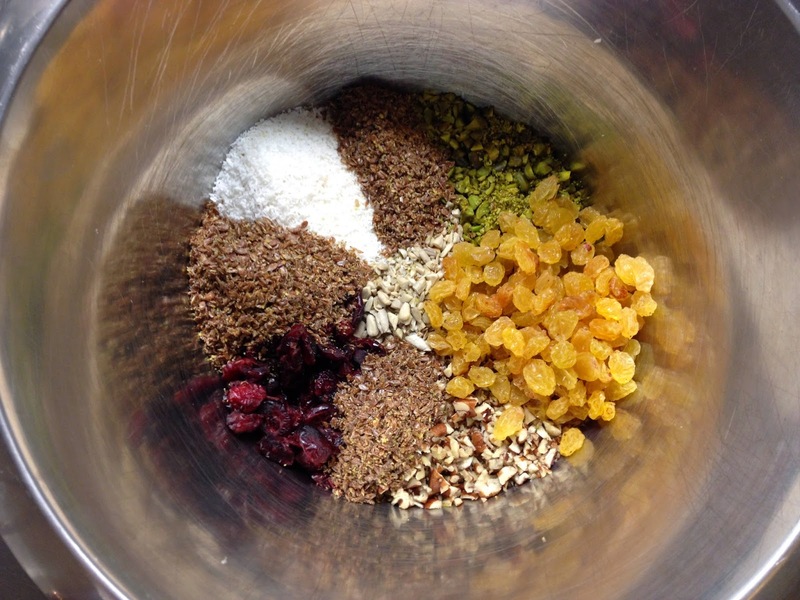 Add wet viscous mix to dry ingredients and mix until a sticky mix. Transfer to a baking pan lined with parchment paper: 16x25cm if you want them thick (I did this) or a bigger pan if you want your bars thinner. Bake in the oven 30 min at 175 C until golden and a bit crunchy. 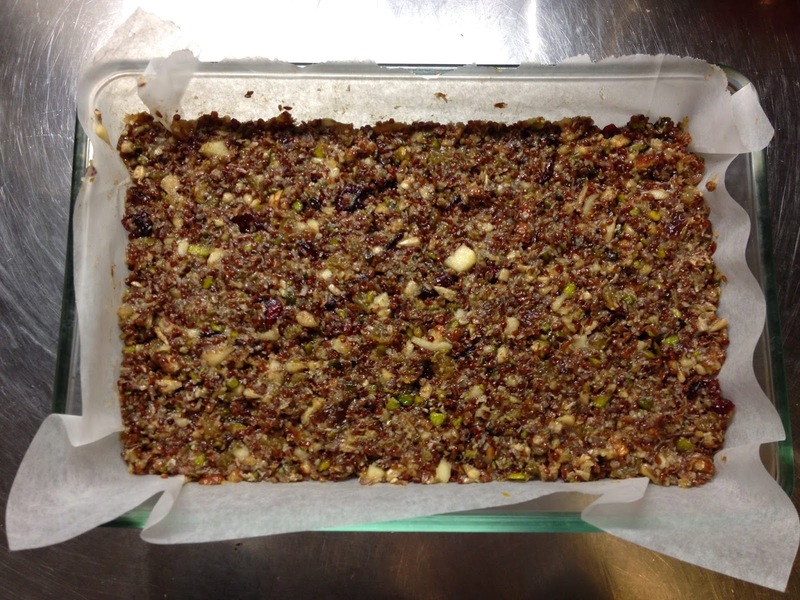 Let the mix cool in the pan, then remove and cut into bars. Store in the fridge in an airtight box or in cellophane wrap.